Arrrr... 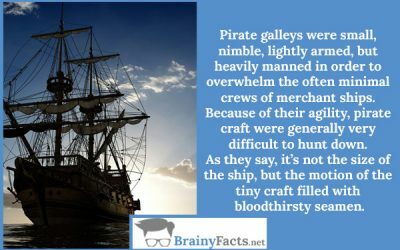 Interesting Facts about Pirates | Did you know ?! The ancient Greeks regarded piracy as a viable profession and considered it an entirely honorable way of making a living with literary works such as the Iliad and the Odyssey making many references to the abduction of women and children to be sold into slavery. Yup. Perfectly honorable. Julius Caesar was once kidnapped and briefly held by Sicilian pirates and held prisoner. 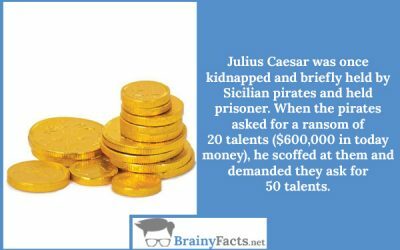 When the pirates asked for a ransom of 20 talents ($600,000 in today money), he scoffed at them and demanded they ask for 50 talents. 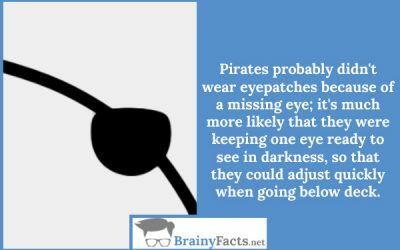 Pirates probably didn’t wear eyepatches because of a missing eye; it’s much more likely that they were keeping one eye ready to see in darkness so that they could adjust quickly when going below deck. 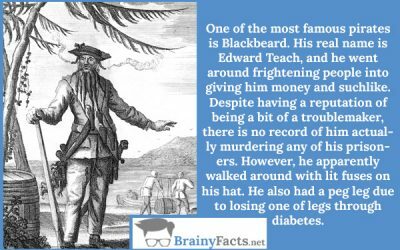 One of the most famous pirates is Blackbeard. His real name is Edward Teach, and he went around frightening people into giving him money and suchlike. Despite having a reputation for being a bit of a troublemaker, there is no record of him actually murdering any of his prisoners. However, he apparently walked around with lit fuses on his hat. He also had a peg leg due to losing one of the legs through diabetes. 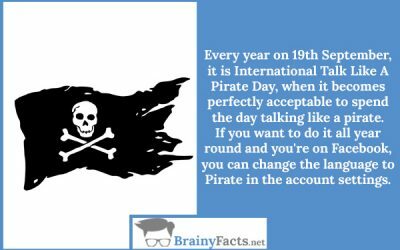 Every year on 19th September, it is International Talk Like A Pirate Day, when it becomes perfectly acceptable to spend the day talking like a pirate. If you want to do it all year round and you’re on Facebook, you can change the language to Pirate in the account settings. 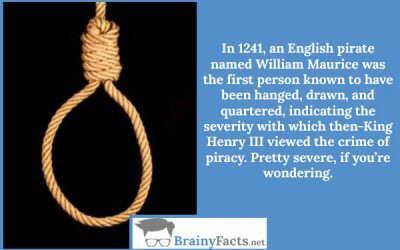 In 1241, an English pirate named William Maurice was the first person known to have been hanged, drawn, and quartered, indicating the severity with which then-King Henry III viewed the crime of piracy. Pretty severe, if you’re wondering. Pirate galleys were small, nimble, lightly armed, but heavily manned in order to overwhelm the often minimal crews of merchant ships. Because of their agility, the pirate craft was generally very difficult to hunt down. As they say, it’s not the size of the ship, but the motion of the tiny craft filled with bloodthirsty seamen.